Facebook Now is a free Windows 8 Facebook app available under “Social” category of its App Store. This Facebook Windows 8 app lets you browse Facebook on Windows 8 with ease to access and with multiple other smart options. The interesting thing is that you can enjoy a whole new experience of Facebook on your Windows 8 in full-screen mode. Also, this Windows 8 Facebook app gives you smart phone like Facebook browsing experience same as you browse with official Facebook app for Android or iOS. It gives you a sidebar which lets you view all your news feeds, events, friends list, pokes, photos, and much more. Also, this Facebook app for Windows 8 lets you view all your Facebook messages, notifications, and friend requests. Let us have a small round of this awesome Windows 8 Facebook app. As I already said that it gives a side bar just like you find on some official Facebook app for smart devices. At the centre, you will find all your news feeds by you and your friends. You can easily filter those news feeds which contains only photos or all the news feeds together. 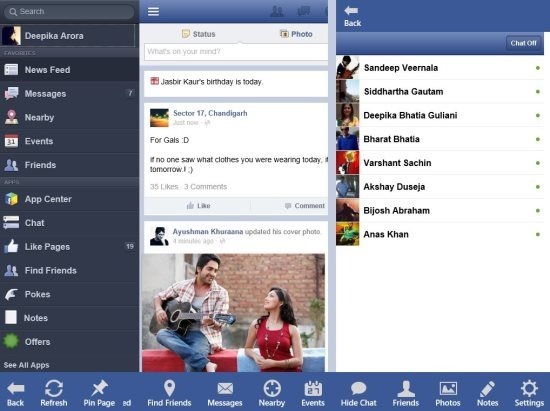 On the right hand side, you will find the chat window from where you can easily chat with your Facebook buddies. 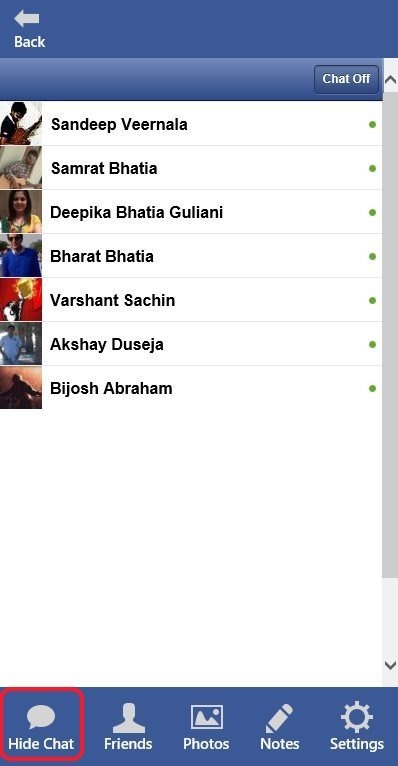 At the lower bottom of the Facebook app for Windows 8, you will find multiple options to browse Facebook. The lower toolbar includes options like find friends, messages, nearby, events, photos, notes, and Facebook settings button. Facebook Now app gives you a feature to hide your chat window and browse your social network. You can easily enable or disable the chat window with a single click. Another good part of this Windows 8 Facebook app is managing the messages on your Facebook account. You can easily mark a message as unread, delete it, archive, report spam or abuse, and forward it to any of your buddy. I like this feature of the app, as this is same as to manage mails on Gmail or any other email service. Browse complete Facebook on full-screen mode on your Windows 8 PC. Pin any Facebook page to start menu. Hide or show Facebook chat window. Manage all your Facebook messages smartly. Provides you smart phone like interface. View all your albums and upload the new photos. Also, check out our posts on SocialNV Facebook Client, Chat Apps, and fTalk Facebook Messenger. 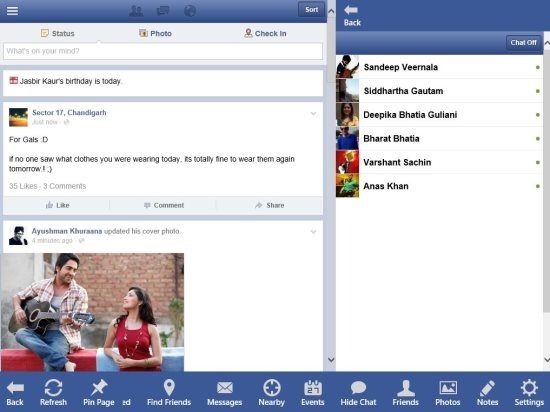 To download and install Facebook Now app, just open your Windows 8 App Store, and search for “Facebook Now” app. Now, click on install button and enjoy your social network. Facebook now simply rocks by providing you easy to access Facebook options. I like the fact that it allows you to browse and manage your Facebook account on full-screen mode. Also, I like the feature to hide Facebook chat windows. Just get rid of browsing Facebook on your browser, instead enjoy it on Facebook Now Windows 8 app.